Sugarfish by Sushi Nozawa had been on my must-visit list for a while now. This Los Angeles-based hotspot gets rave reviews from practically everyone for serving super fresh, high-quality sushi, sashimi, and hand rolls. More recently, they've even opened a New York location as well. Sugarfish is known for its authentic and traditional Tokyo-style sushi, while working hard to combine old school values with new school vision. This means the best fish every morning, the rice is served warm, and the seaweed is a bit crisp, making for the swooniest sushi-eating experience of my life! You won't find any "American style" extravagant rolls or fusion dishes here, but rather pure, basic ingredients prepared in the best way. The menu is quite small and to the point, and while you can choose to order a la carte, I highly recommend one of their Japanese omakase options. My "Trust Me" included a wonderful sampling of the freshest fish, including edamame, tuna sashimi, albacore, salmon, yellowtail, snapper, and scallop sushi, plus toro and blue crab hand rolls! Nozawa even makes his own soy and ponzu sauces, which are the perfect complement to the simplicity of the fish. 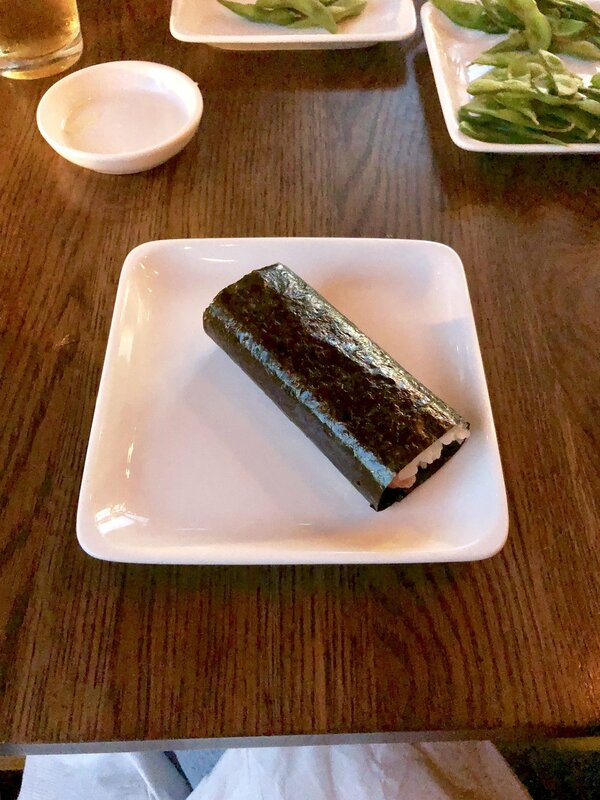 Sugarfish's traditional vibe may not be for everyone (no extra sauce, salt, or rice is given; no avocado, brown rice, or soy paper available etc. ), however, I definitely urge you to try it out for the experience alone! With multiple locations in Los Angeles, I'm already planning a return visit soon!